Enjoy the warmth of a blissful massage by indulging in a leisurely session with Cosset. 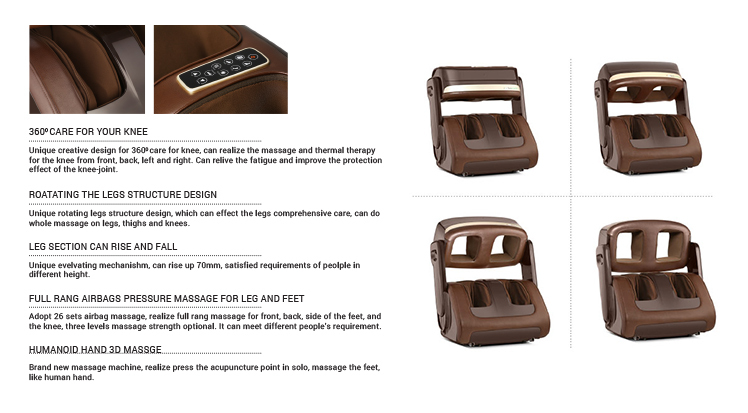 Comprehensive care for your legs, now brought to you in a comfortable and luxurious manner. The Cosset gives 360 degree care for your knees while relieving all the pain and stress. 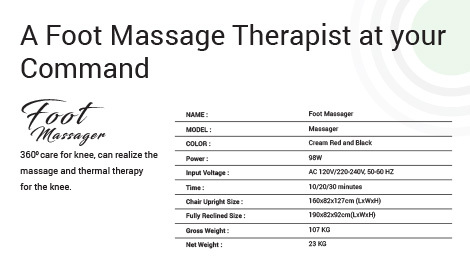 Incredible clinical and human massage capabilities put together to help you relax and unwind. 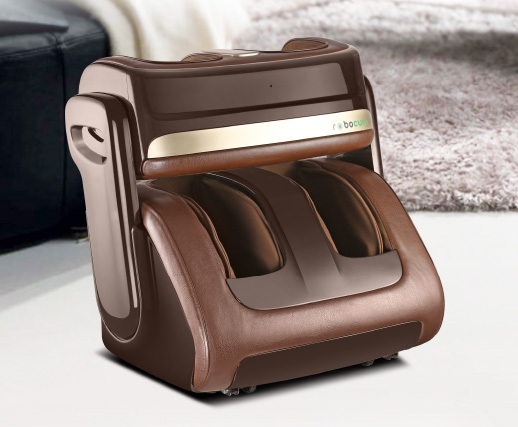 Bring home the therapist for your legs to experience utmost relaxation. Let your feet rest in comfort.